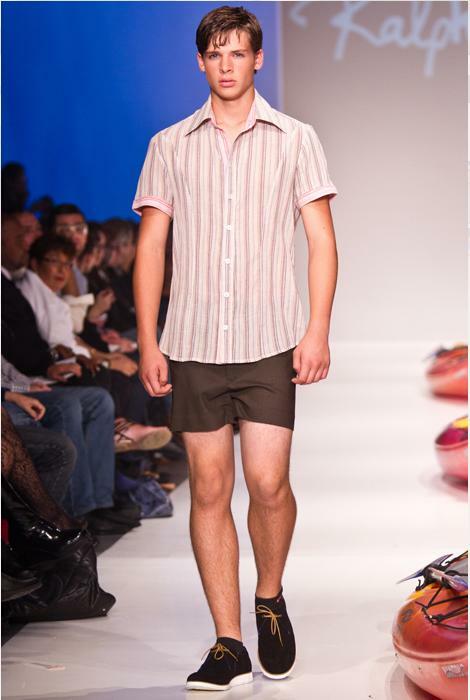 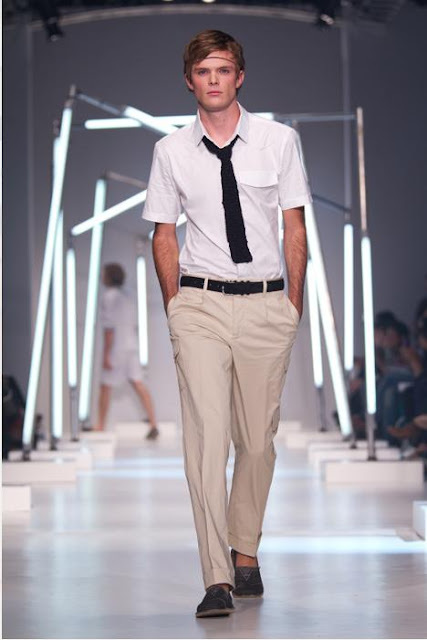 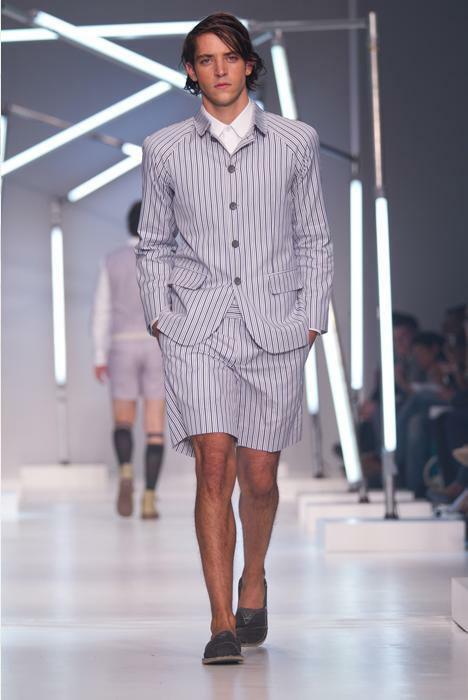 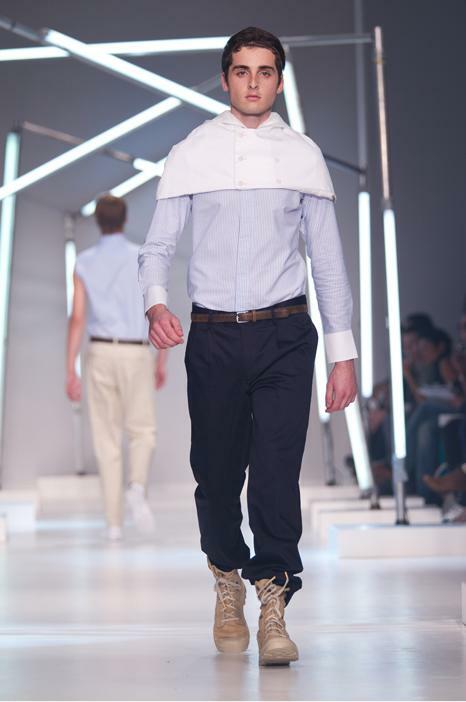 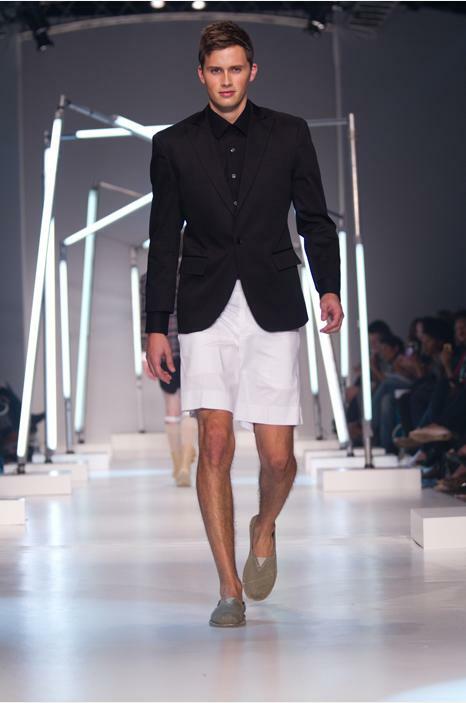 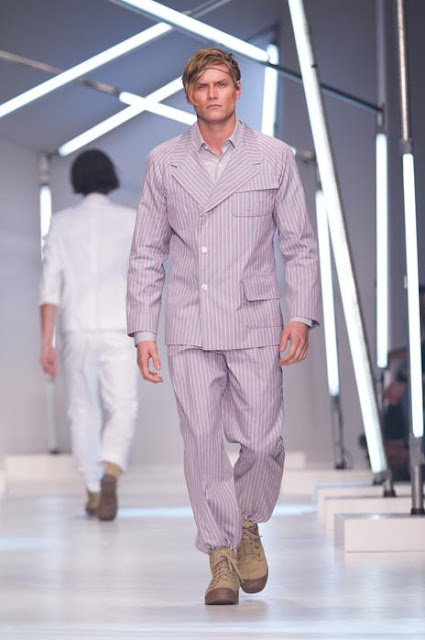 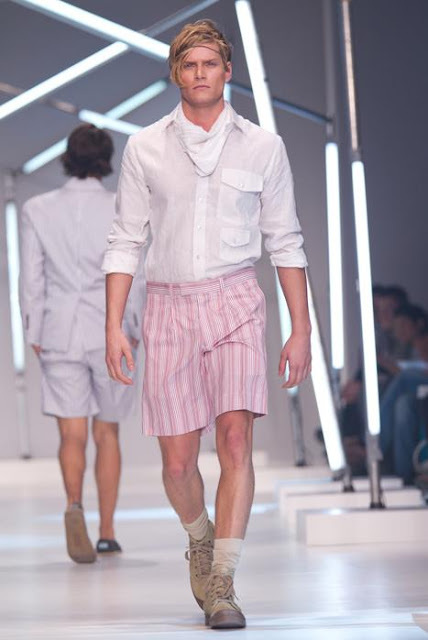 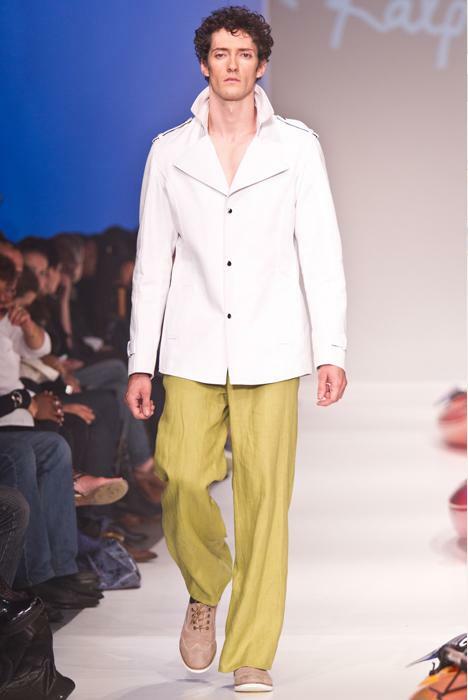 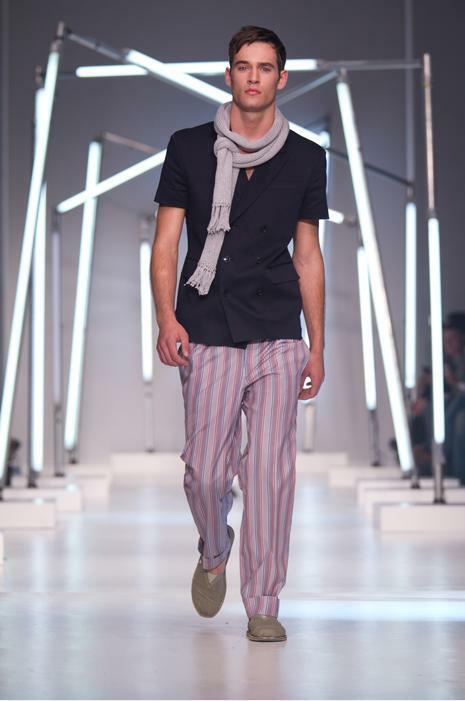 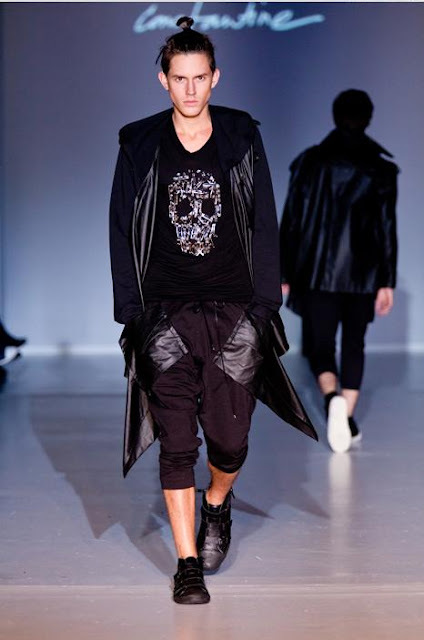 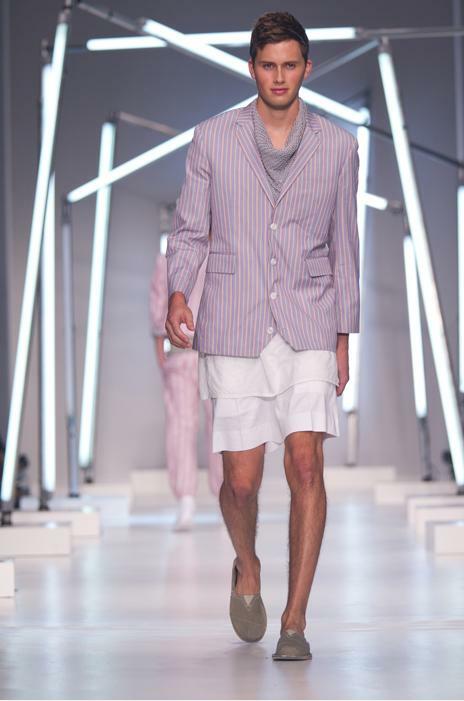 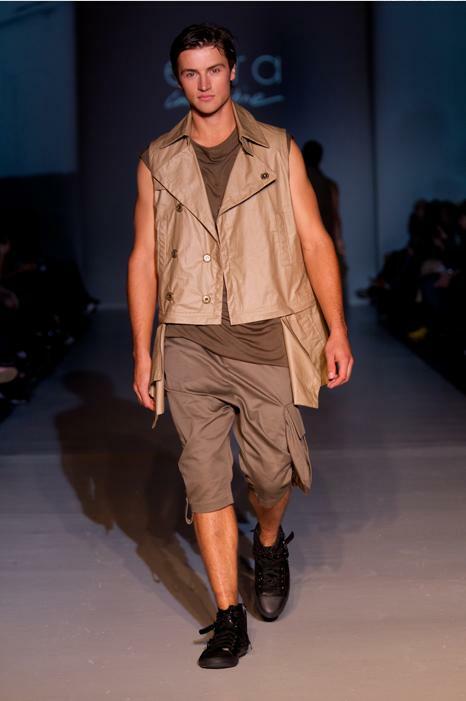 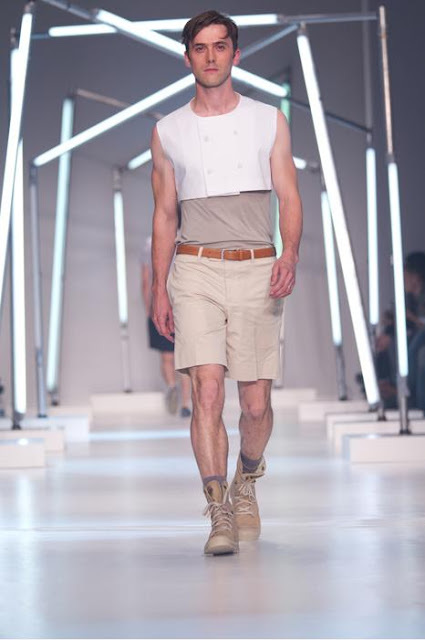 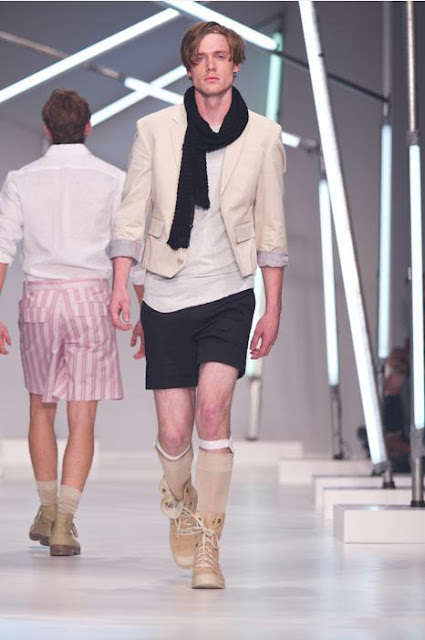 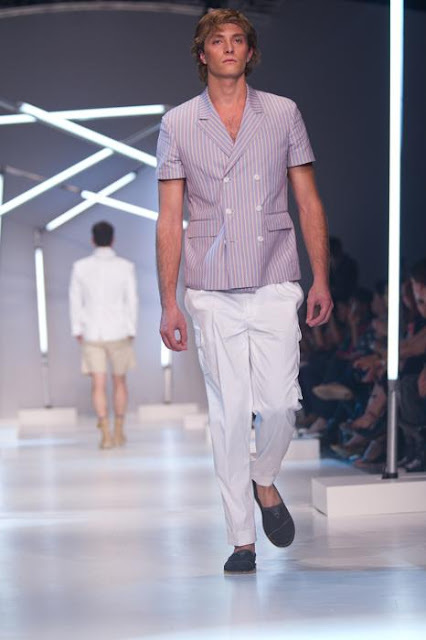 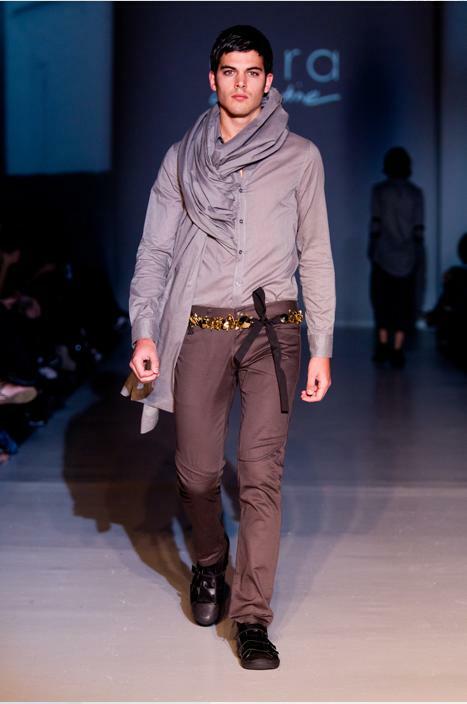 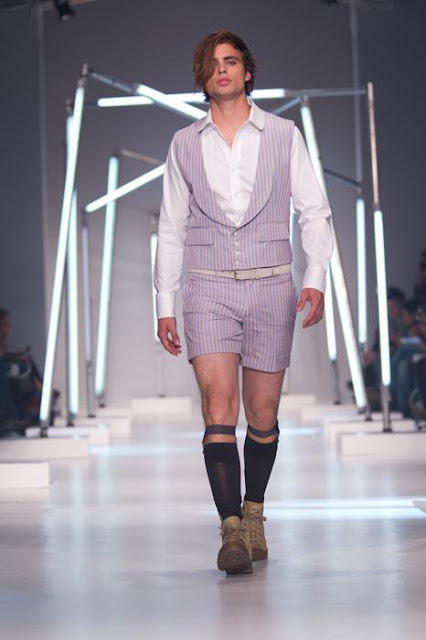 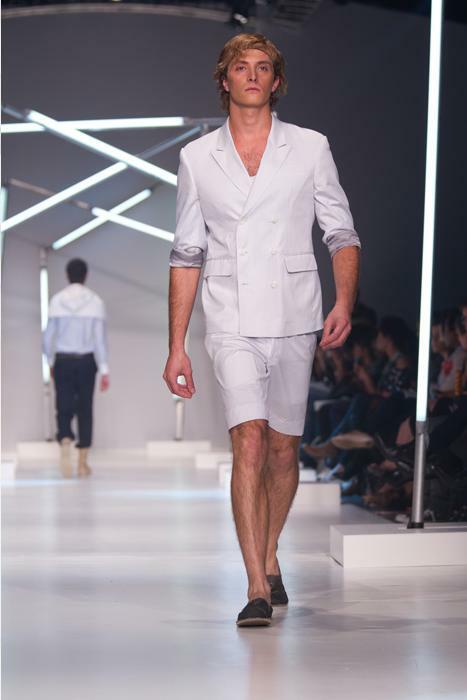 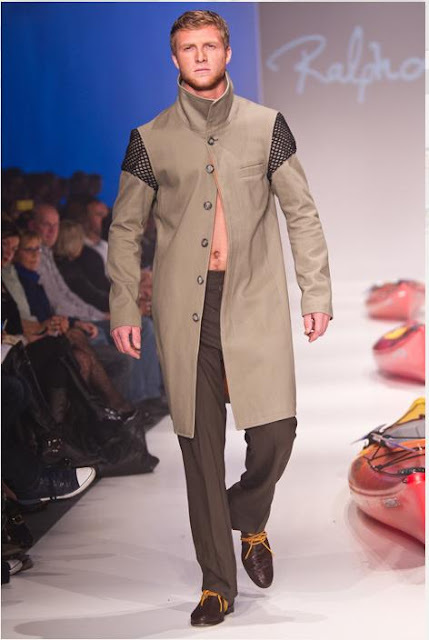 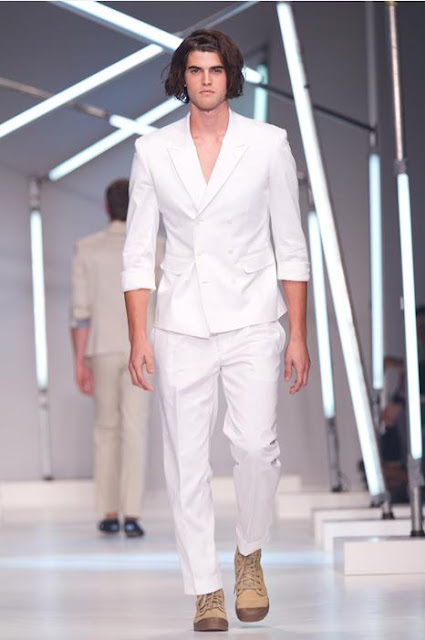 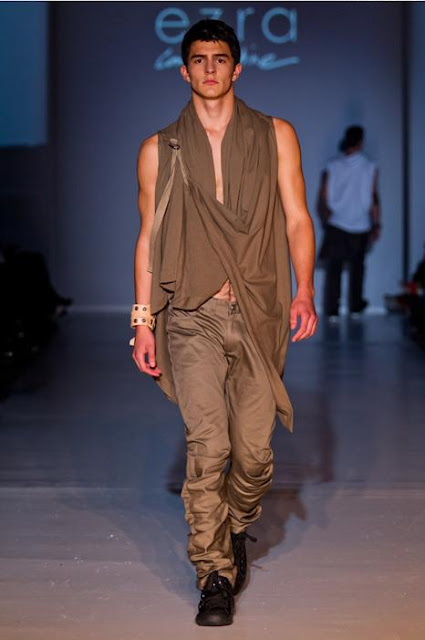 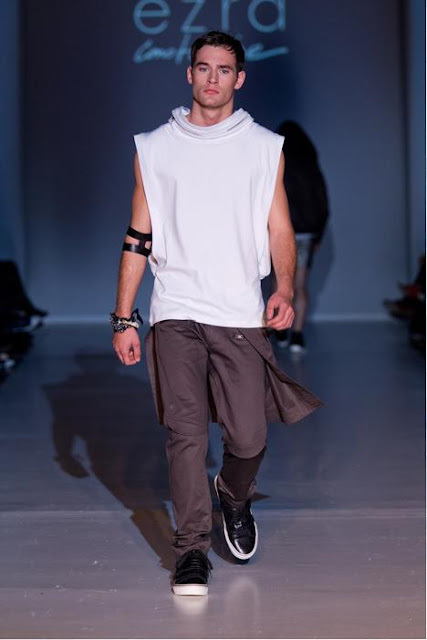 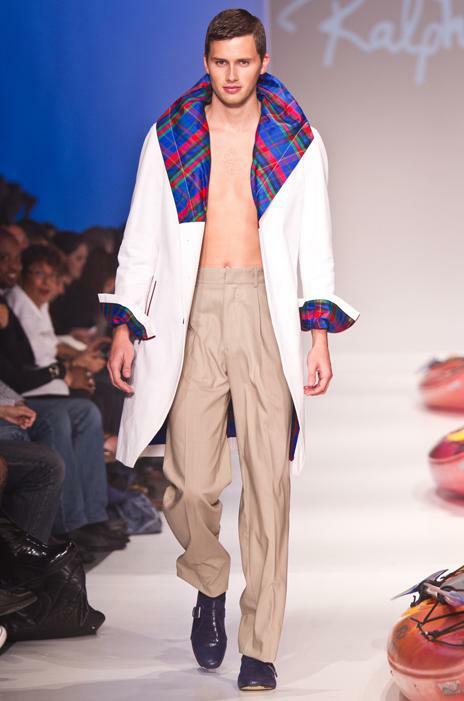 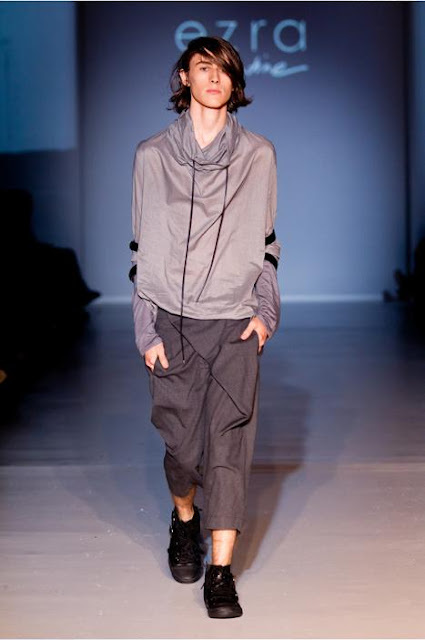 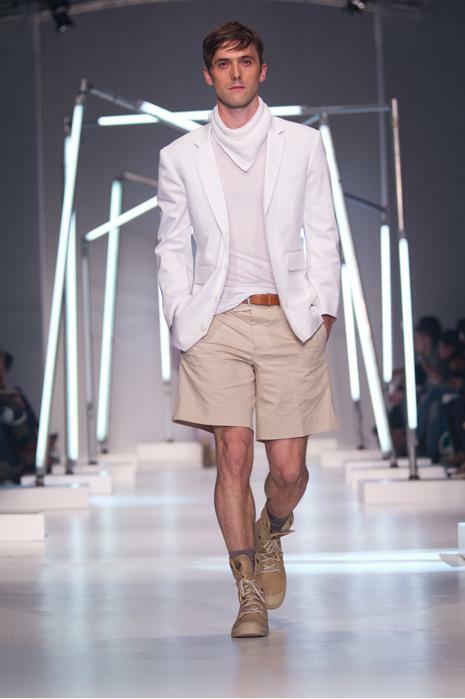 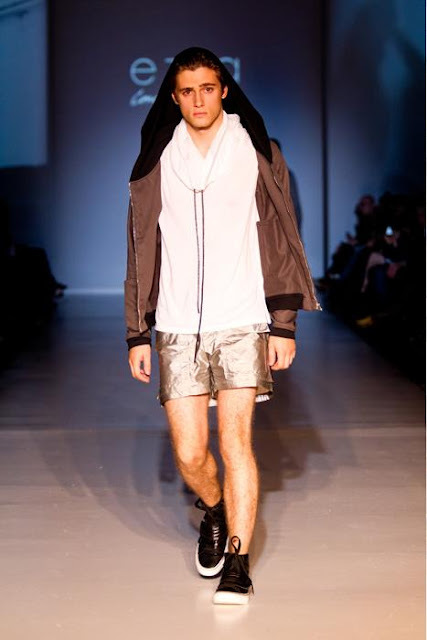 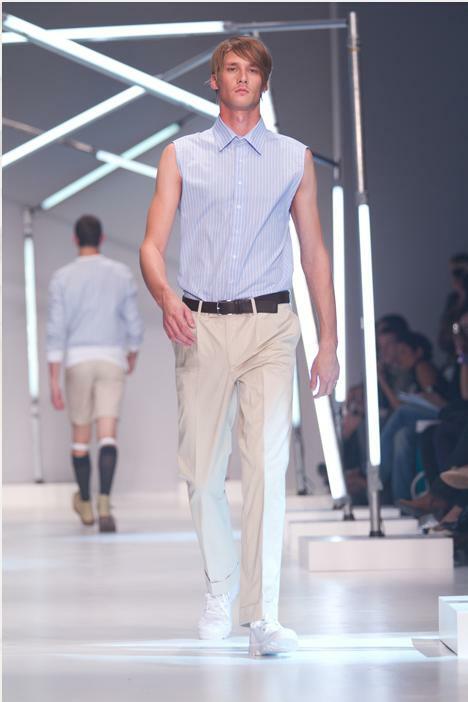 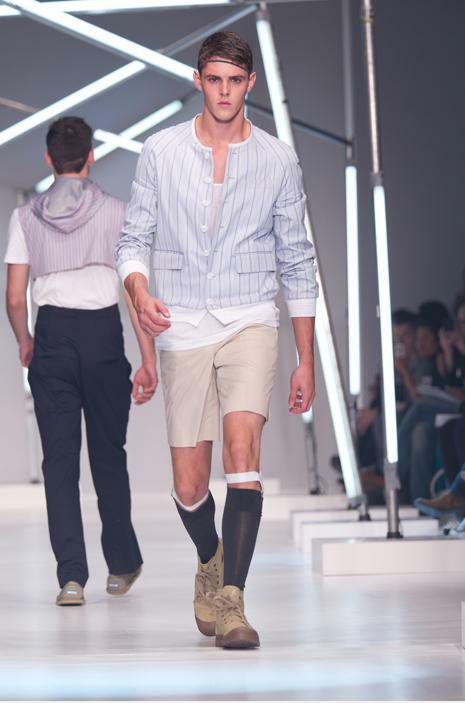 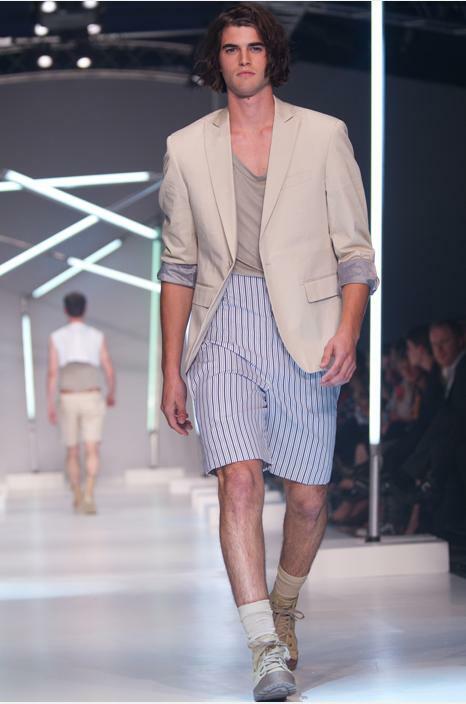 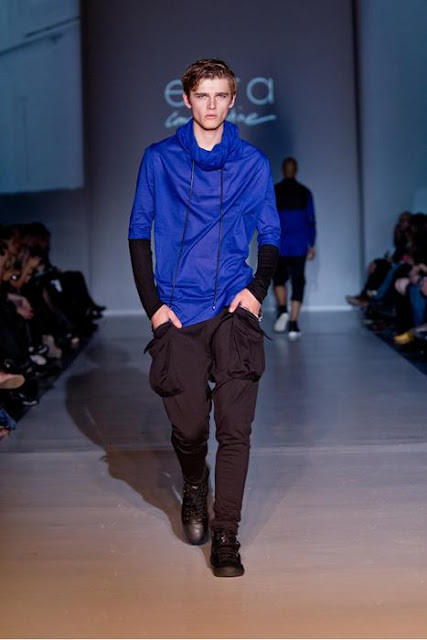 Here’s designer Dimitri Chris spring/summer 2011 presentation at Montreal Fashion Week. 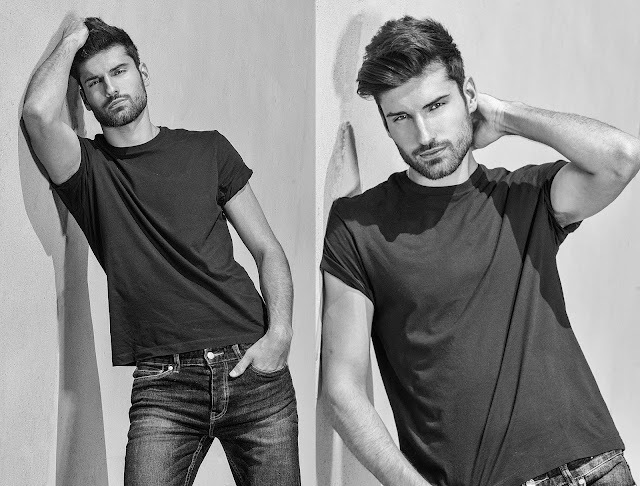 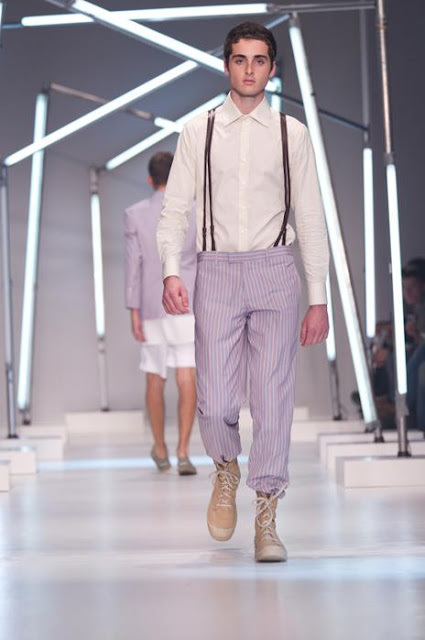 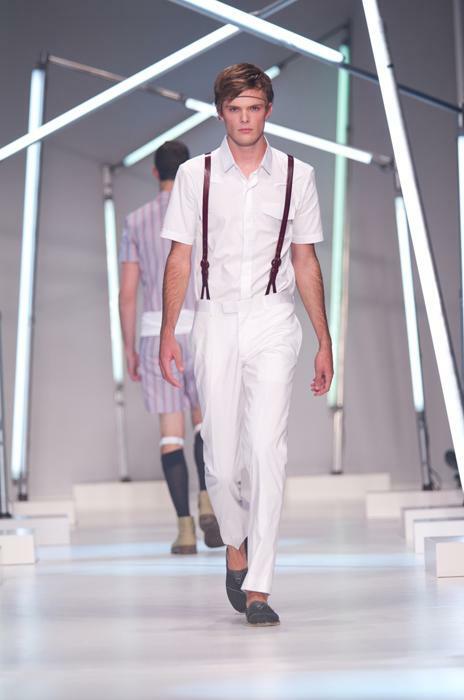 1930’s is the inspiration for Dimitri this season. 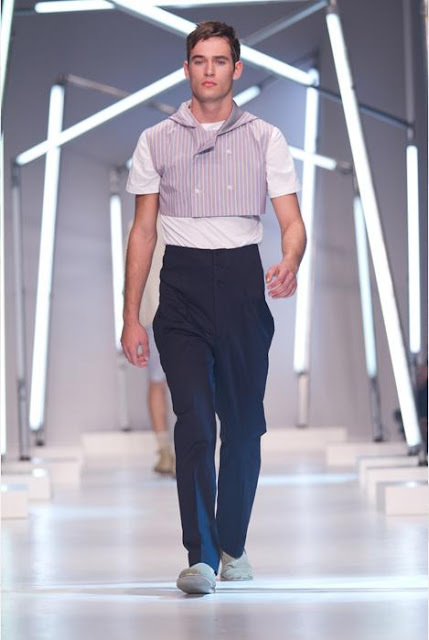 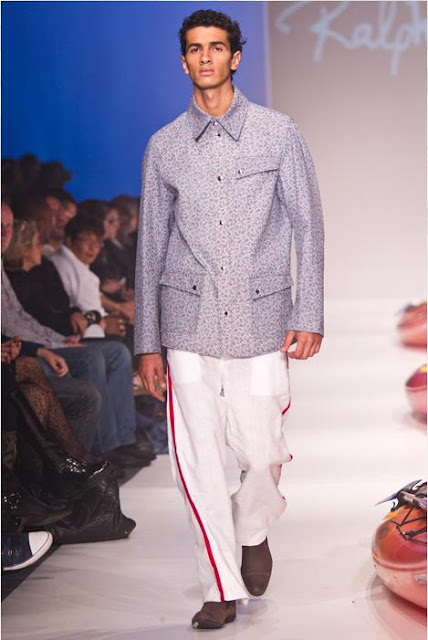 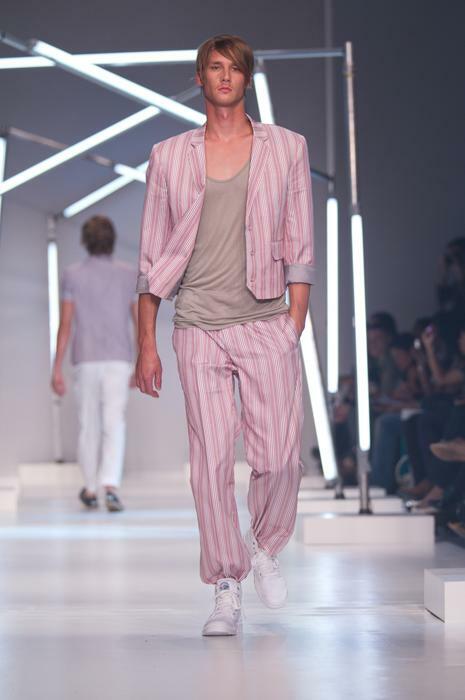 He modernized the 30’s silhouette by mostly pairing cropped jacket and vest with pajama pants. 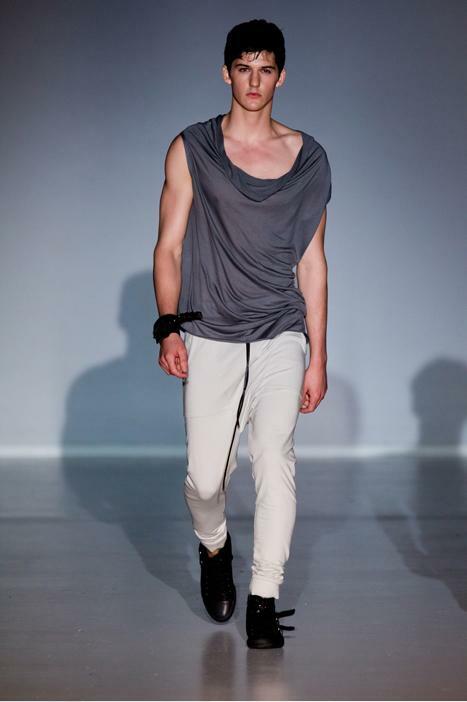 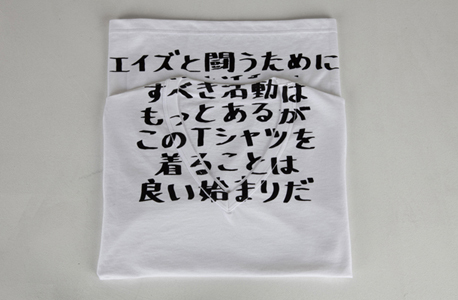 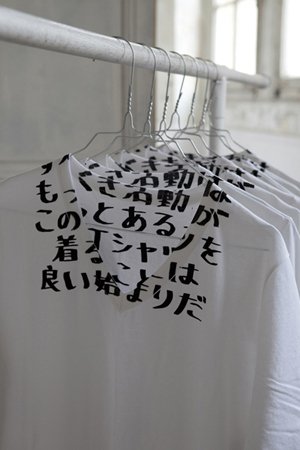 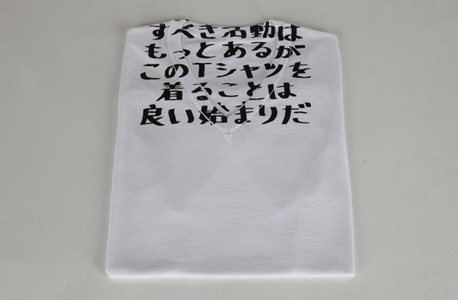 The clothes look chic and comfortable. 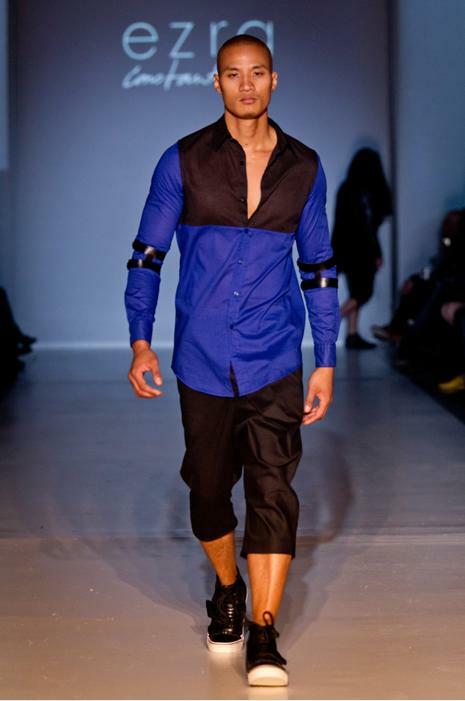 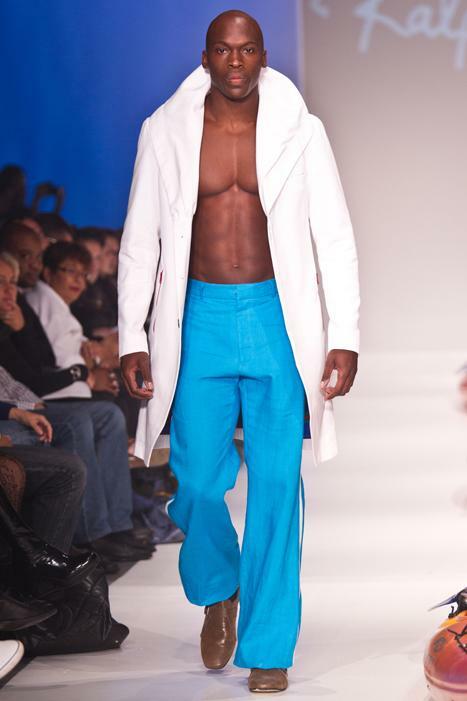 Fashion designer Ralph Leroy uses his skills as a jewelry designer in creating his menswear collection. 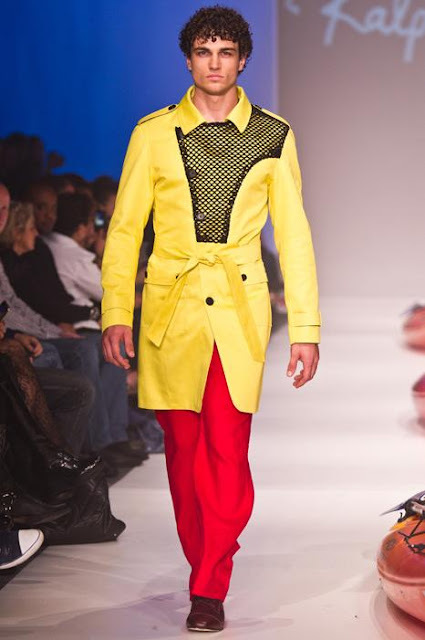 His clothes are usually sharp and colourful. 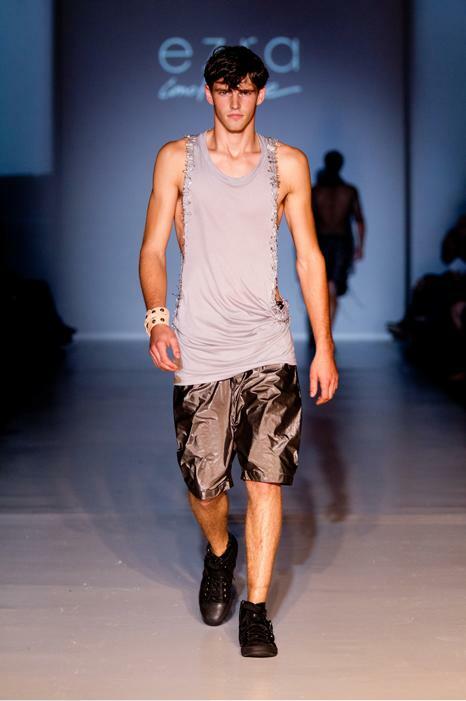 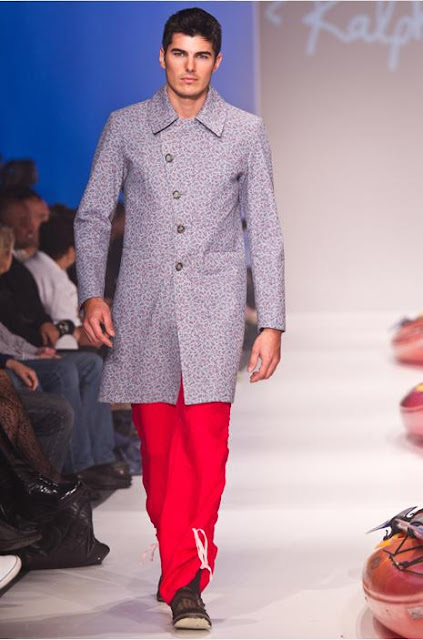 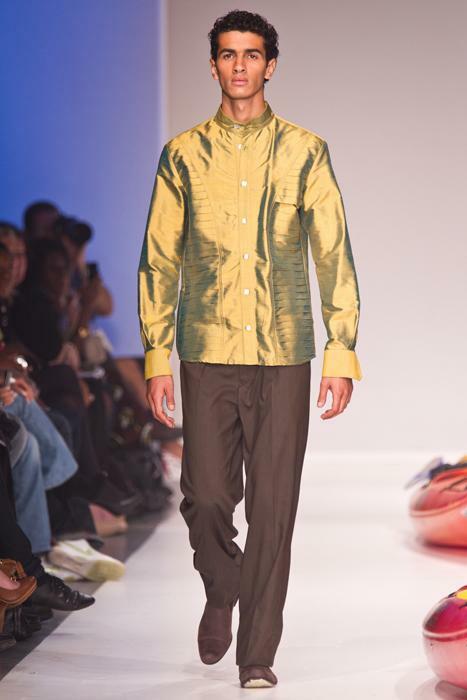 For spring/summer 2011 he used mostly colourful and shiny fabrics. 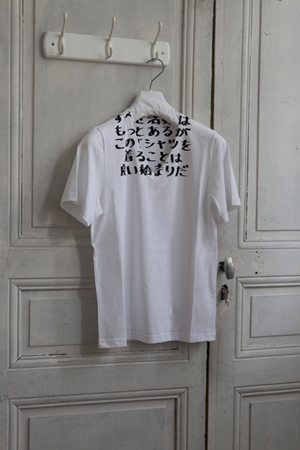 The silhouettes are modern and relax.